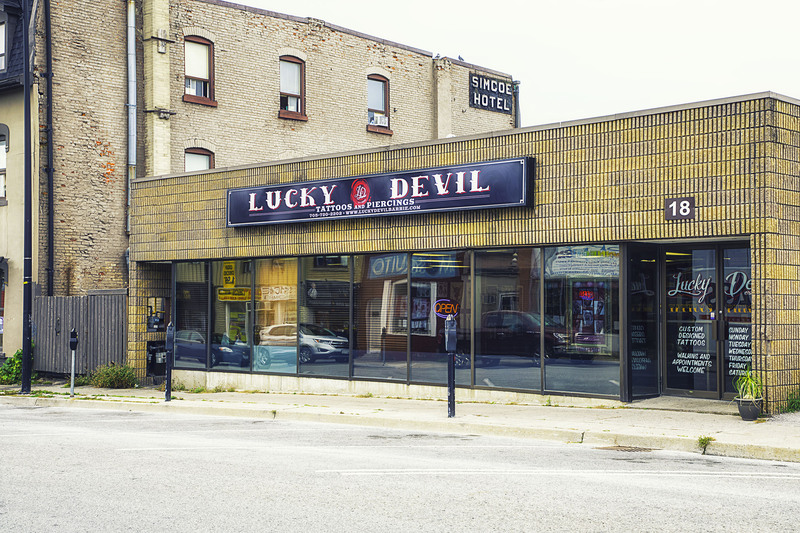 For the latest news from Lucky Devil check out here! 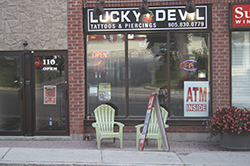 Has been THE place to go in Simcoe for tattoos and piercings for over 15 years. We are a very clean, very safe and professional establishment, Health Board approved and ready to give you the best experience possible. Our artists are the finest around and we are always getting new talent. 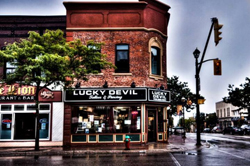 Check out some of their work on the Artist’s page. For tattoos, we take walk-ins as well as book appointments so come on down and talk to one of our staff to see how we can get you your ink. Please, no phone calls to try and book an appointment. As we require deposits for all tattoo work. Consultations are free, so bring any ideas you have down to our shop and have a look at our artists’ portfolio’s, only then can you book time. If you are searching for ideas there are many resources you can go to such as the library, internet sites and tattoo magazines. Our artists are excellent at bringing your ideas to skin. We have age limits for all work done on our premises so make sure you bring your photo ID with you. Acceptable ID: Drivers License, Health Card, Passport, Military ID or Liquor Control Board photo ID.